After years of service to the Rover Branch of the South African Scouting Movement Gerard Evans has stepped down. Cameron Belling was recently appointed as National Chair: Rover Programme. We spoke to him and found a young man with a passion for adventure, for the camaraderie Scouting brings and mostly for Rovering! 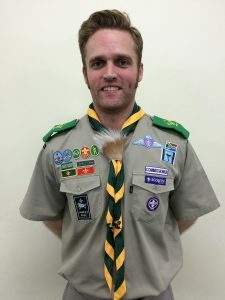 Cameron achieved many accolades throughout his Scouting career, some of which are his Springbok in 2005, a Scout Woodbadge in 2006, a BP Award in 2012, a Provincial Commissioner’s Commendation in 2014, the Leader Trainer Charge in 2015 as well as the Rover Woodbadge. Obtaining two Woodbadges before his 30th birthday is a feat he is very proud of. 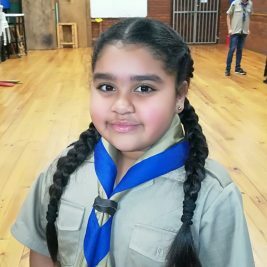 Despite his professional career taking flight and his busy Rovering schedule, Cameron, who has adventure and courage running through his veins, took up another position within SCOUTS South Africa as National Chair: Rover Programme. We are looking forward to seeing Rovering flourish under his care!